​On the morning of Oct. 27, 11 people were gunned down at a ​Pittsburgh synagogue in what was the largest anti-Semitic attack on United States soil. Many around the NFL were outspoken about the incident, especially since it hit home for the Steelers and their fans. New England Patriots wide receiver Julian Edelman was the latest to weigh in on the matter and show support as well. 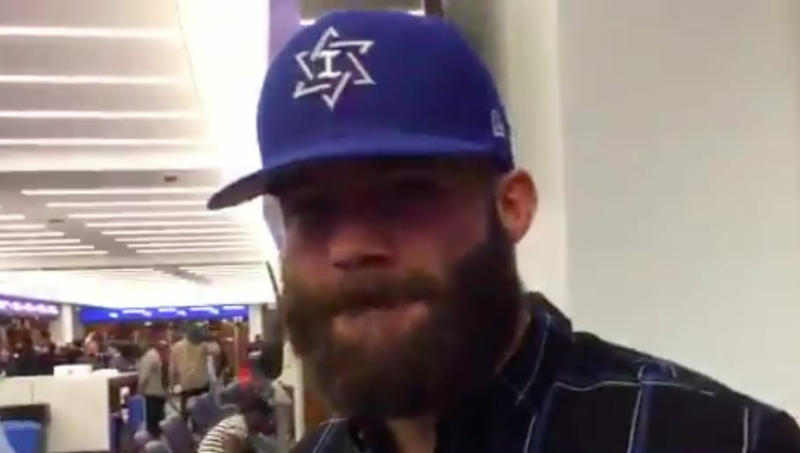 Julian Edelman wore this hat to show support for the Pittsburgh Jewish community after synagogue shooting: "I'm behind you." Edelman, who also has Jewish origins, did what all other public figures should be doing, which is standing up and speaking out on the matter. The star wide receiver also took to social media following the heartless attack to show his solidarity with the victims. It's awesome to see Edelman stepping up in such a manner when people like him are needed to make an impact during such tough times. Edelman is a tremendous football player, and after watching this video, it seems like he's an even better human being.